Alright, we're a little late on this story, but it's still interesting nonetheless. 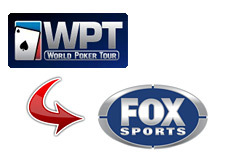 The World Poker Tour and Fox Sports Network inked a deal that will see the seventh season of the World Poker Tour aired on FSN. There will be 26 one-hour episodes delivered to Fox Sports Net, starting with the final table of the recently completed Bellagio Cup IV. The timeslot and complete schedule have not been released as of yet. The financial terms of the deal have also not been released. I suspect that the deal might involve revenue sharing from ad sales instead of a flat per-episode licensing fee, but that's just a guess. We'll find out the exact terms of the deal the next time that WPTE releases earnings and has a conference call. The stock of WPTE, which had closed at $0.90 the day before, quickly traded up to $1.10 after the news was released, and then ended up closing the trading session at $0.92. 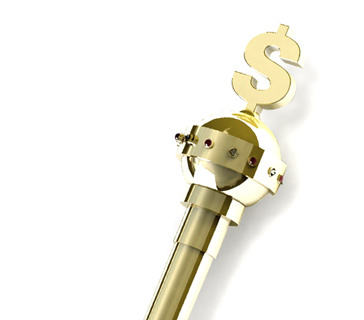 Investors seem fairly lukewarm on the deal, based on the reaction of the publicly traded stock on Friday. Will viewers enjoy the new one hour format of the show? This is not a condensed version of the show - instead, a two hour episode is simply cut in half and shown over the course of two weeks. This will mean that viewers will have to wait a week to find out who won a final table. Will this build viewer interest or turn them off of the show? Will this deal resurrect the company (and its stock), or are they destined to fail? Did GSN try to secure the rights to broadcast the seventh season of the show, but with more favorable financial terms? GSN recently announced that they had picked up their option for the fifth season of High Stakes Poker - I wouldn't be surprised at all if they made a pitch for the rights to the seventh season of the WPT. The two shows (WPT and HSP) are a natural fit together and brought the network strong ratings, even if the target demographic wasn't as young as the network would have liked. Many people are quick to say that this is a great deal for the World Poker Tour. Let's see the revenue figures that they generate with this deal before we jump to that conclusion. The company doesn't have much in the way of wiggle room right now, and needs to start turning a profit every quarter.